Please check this page often for updated information relating to contests/fundraisers/promotions to benefit FBR. Don’t forget to check FBR’s Facebook and Twitter pages for other exciting contests and fundraisers. Thank you! FBR will receive 40% of your total purchase. You can purchase new and/or renewal magazine subscriptions, nuts, gift wrap, jewelry, home accessories, gifts, and much more. Also purchase restaurant.com gift certificates at discounted prices. Now this is one delicious deal! Select up to $100 worth of restaurant certificates for just $20. Choose from over 18,000 restaurants nationwide! Whether for yourself or as a gift for friends and family, you can’t beat saving money on great dining experiences. Dinner is waiting…order your e-Gift Card now! 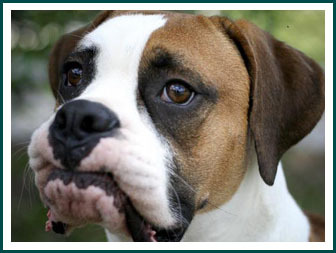 Sign up today at www.igive.com and enter Florida Boxer Rescue as the beneficiary. We will receive a percentage of all your online purchases. We have already raised over $1000, and every little amount counts, so sign up today!